Do Business Plan Experts Really Matter ? If there is one thing which all of us like to do, it is to discuss business ideas. No, really…every other person, regardless of their academic qualifications, financial backgrounds, ethnicity, nationality, culture, and values, has a few business ideas up their sleeves. But if such is the case, then why does the concept of the 9 to 5 exist? The biggest reason is perhaps the lack of capital. It makes complete sense. To begin a business, you must invest some money. On the other hand, we have people who have killer business ideas and appropriate levels of capital available at their disposal, but they lack expertise, shrewdness, and market knowledge. These are the people who are usually the most frustrated and need someone to assist them in their journey to success. That is where business plan experts come into the picture! Business planning professionals are individuals who have spent years working in specific industries. They know their relevant areas inside and out. After accumulating enough knowledge and skills, they become qualified enough to call themselves business plan consultants. They do not necessarily need to obtain specific certifications or training. 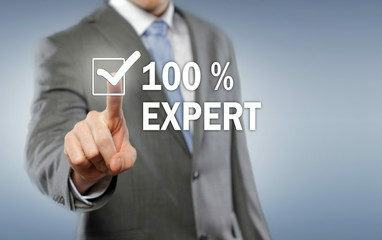 However, while choosing one, it is advised that you look for consultants/experts who provide their services regularly. That being said, sadly, many people still consider investing in the services of business planning professionalsa complete waste of time and money. The common thinking is that there is already a lot of things to spend your money on while starting a business; Hiring a consultant just seems like another cost, which most people hesitate to bear. Moreover, such people think that digging through the internet and going through case studies would be enough to write the perfect business plan for their future ventures. This mentality is completely wrong, and as a result, these people usually suffer from losses and major failures during the initial phase of their businesses. In this article, we will discuss exactly what it is that makes business planning consultants/experts so important, and try to set some minds straight. So, keep reading! The most basic thing which a business planning expert can help you out with, is the writing of your business plan (obviously.) You have to realize that the competition is extremely stiff. There are probably hundreds or even thousands of people with the same business plan as yours. Having a decent business plan can significantly increase your chances of obtaining loans and additional capital by swaying potential investors and loan officers. Moreover, it will give you (and your staff, if any) a comprehensive game-plan/blueprint on how to proceed with the business and take the necessary steps to fulfill the core objectives. It goes without saying that research is the most integral part of launching a new business. Working without data is like throwing a dart in the dark, hoping that it would stick on the board. Without studying the market and acquiring data, you would not be able to make the right decisions and allocate your resources efficiently. Moreover, there are existing competitors to consider. You need to be aware of what strategies they are using, what market position they are enjoying, and how they have managed to thrive in the market. But let’s be honest: Gathering all of that data is no easy task. This is something which the business planning experts can help you with. They have access to the latest data and gladly share it with their clients. The sustainability and success of your business depends on how good you are at making decisions. Every day, managers have to wrestle with dilemmas in order to make such decisions. But as mentioned above, if you have a flawless business plan by your side, you will never have any problems in making the right choices, whether they are related to management, technicalities and core business procedures, marketing, finance, human resource, training, or general management and administration. You can consult your business blueprint every time you start guessing your decisions, and make amendments to your decisions. Running a business is similar to participating in a never-ending marathon; You have to keep moving forward if you want to avoid competitors from leaving you behind. Business plan consultants can help you come up with new strategies or improve existing ones to keep up with the changing trends. Without their expertise and skills, an entrepreneur can face major difficulties in staying ahead and relevant in the market. Keeping in mind all of the areas and ways in which business plan experts can help you during the initial phases of your business, it becomes clear that having them on-board can significantly improve your chances of going successful and achieving your short-term and long-term goals. Therefore, our final verdict is that these professionals do matter, and as an aspiring entrepreneur, you should make the right choice and opt for their services, regardless of what your friends, family members, and colleagues tell you. We wish you best of luck!